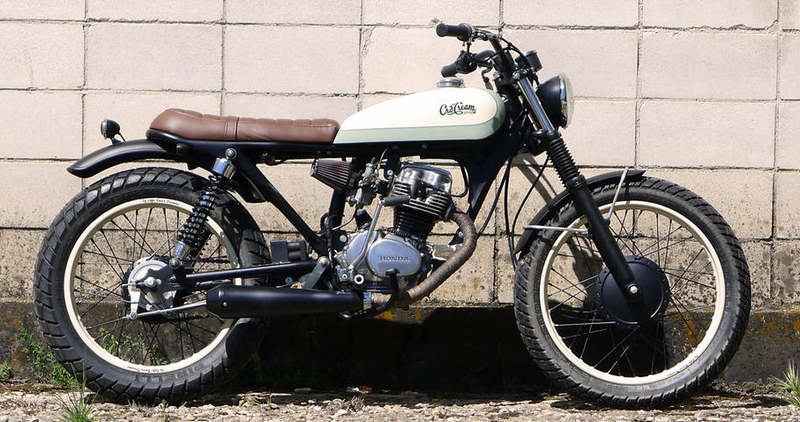 CRD29 Cafe Racer was a very special bike for Cafe Racer Dreams since it was the bike we made for Carolina, a person who used to work in the company. It was a gift to her and we put all the affection to make it. 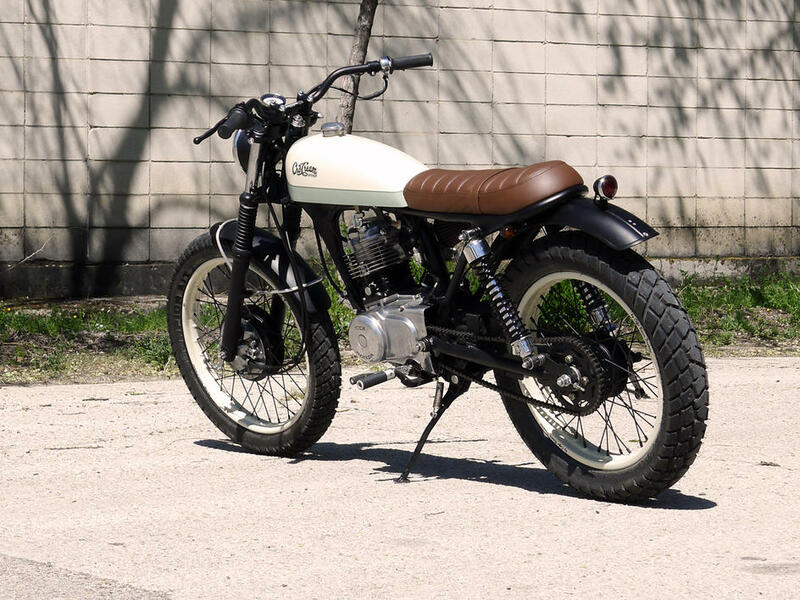 A Honda CG125 base, comes at first sight as a horrible bike but when after dismantling it, we discovered that it had a lot of potential to become one of our most beautiful creations and perfect for our female audience. It is equipped with the tank of a Lambretta, that we thought that could be great for it and after we discovered that it fit perfectly with the straight and sinuous lines of the design we believe that it was a great success. The paint job is done in light colors that together with color of the natural leather of the seat and the single cylinder motor block make this bike as a whole a little delight, a delicate toy and perfect for a girl. In addition the battery is hidden under the swingarm, the contact key installed in subchasis with clausor to start it as a car, it also has a simplified electrical system, decreased travel of the fork. The rims are painted in the same color of the tank something that contrasts with the black spokes that make the bike super original, we believe that the result is a nice, compact and very manageable bike. 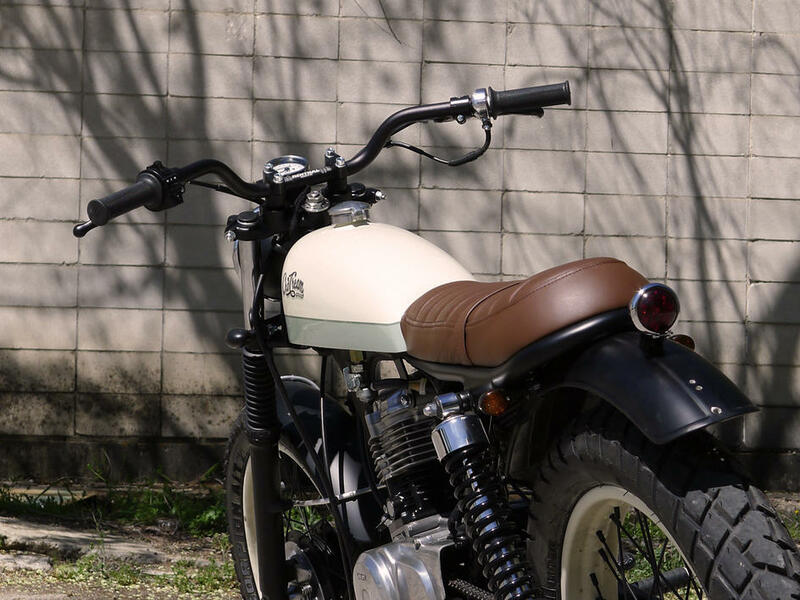 Bike Exif wrote this article about CRD29 Cafe Racer.